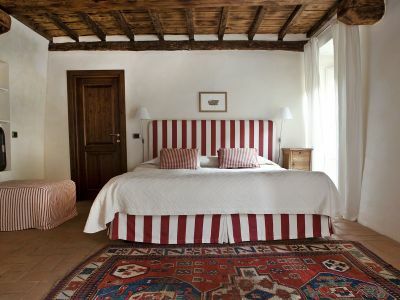 The colours of The Colonica all compliment the warmth of the handmade terracotta flooring and wooden beamed ceilings. 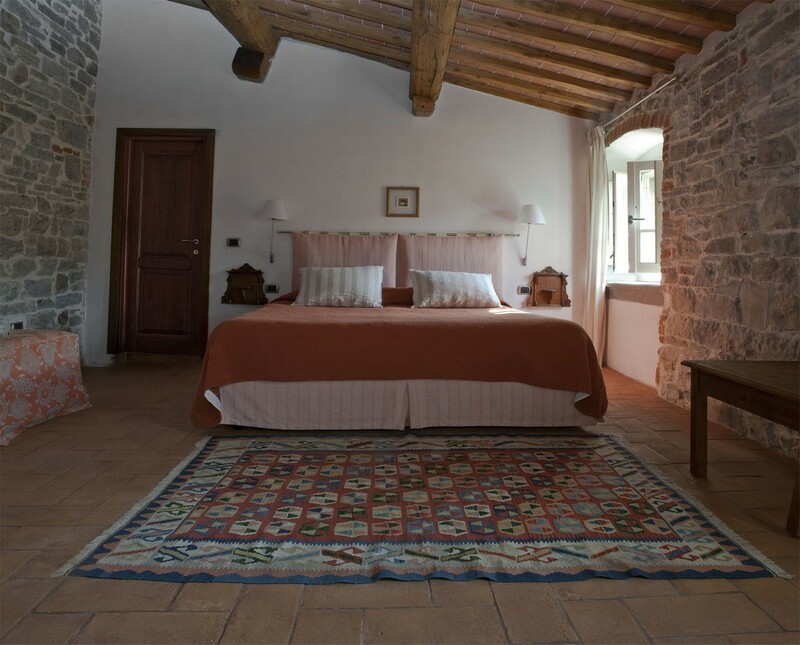 Its name comes from the Italian Colonica meaning farmhouse, and all the features of its past are in this room. 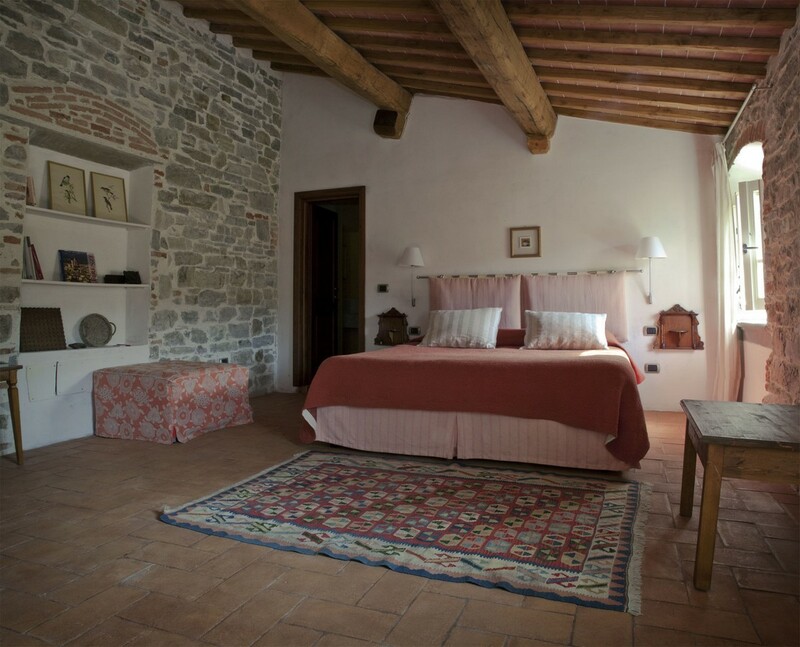 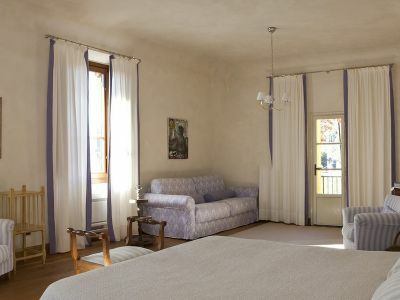 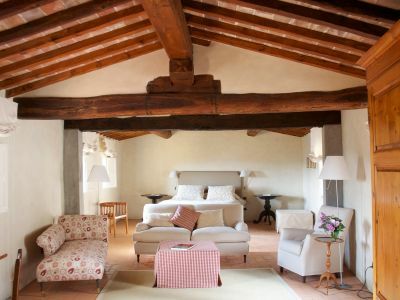 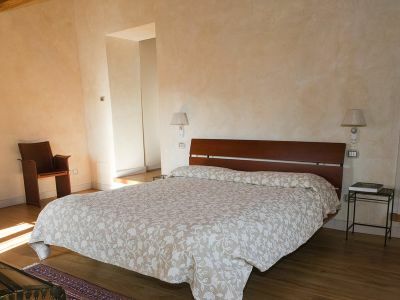 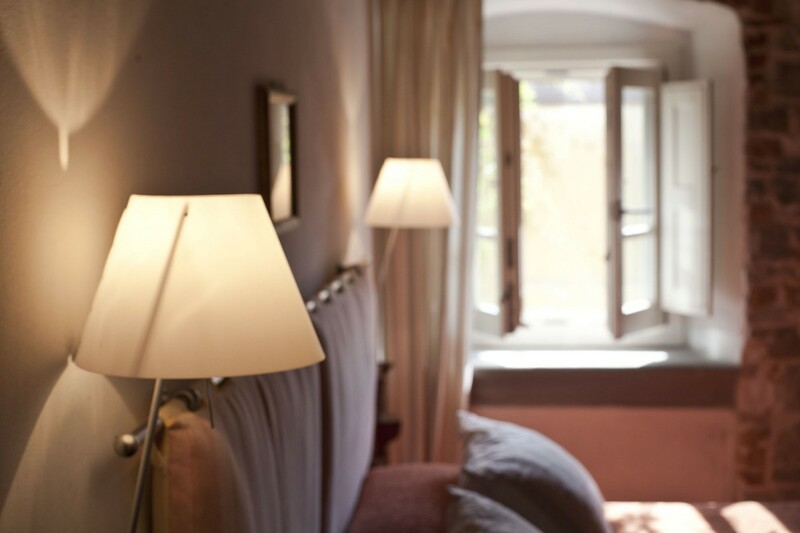 The room overlooks the charming courtyard of Villa di Campolungo. 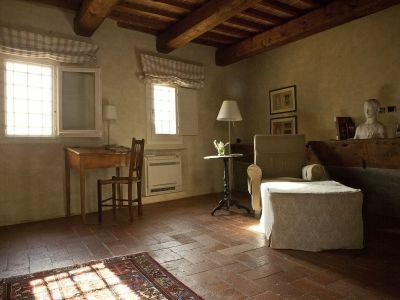 A small international bookshelf set into the historic walls, offers a selection of books to read. 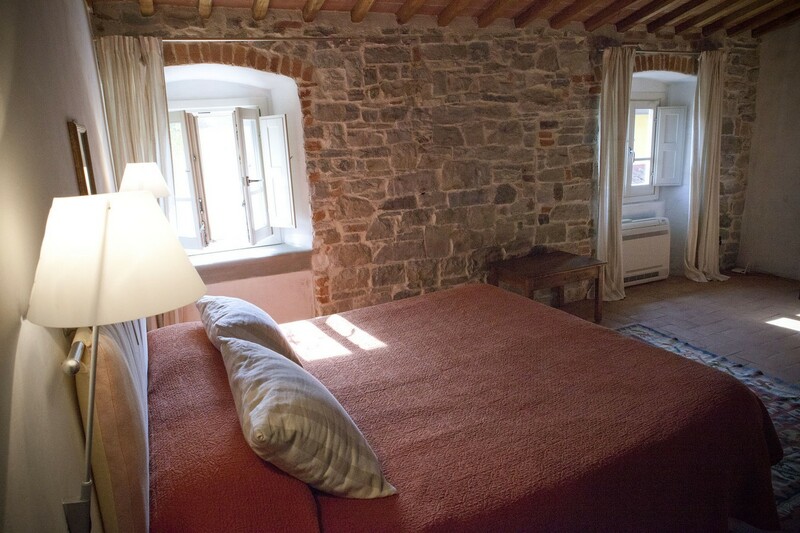 The walls are finished with a traditional (pit)lime called “grassello" that add charm and history to the room. 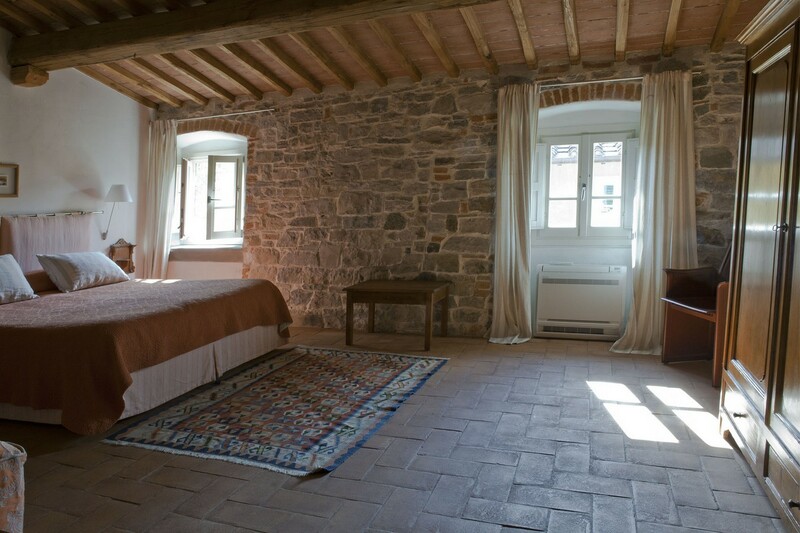 This room helps you remember the farmhouse’s history. 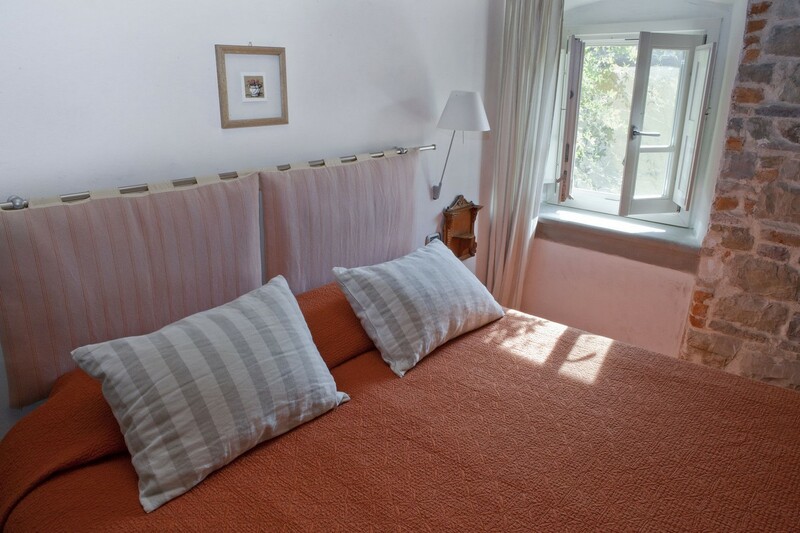 This room is perfect for a couple, but an extra bed and a cot are available depending on requirements. 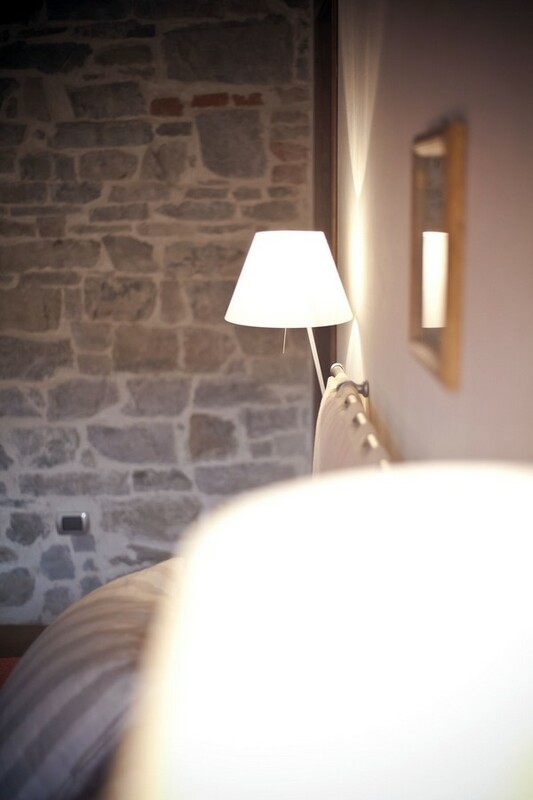 This cosy and inviting room has a spacious bathroom with two sinks, set with mosaic surrounds. 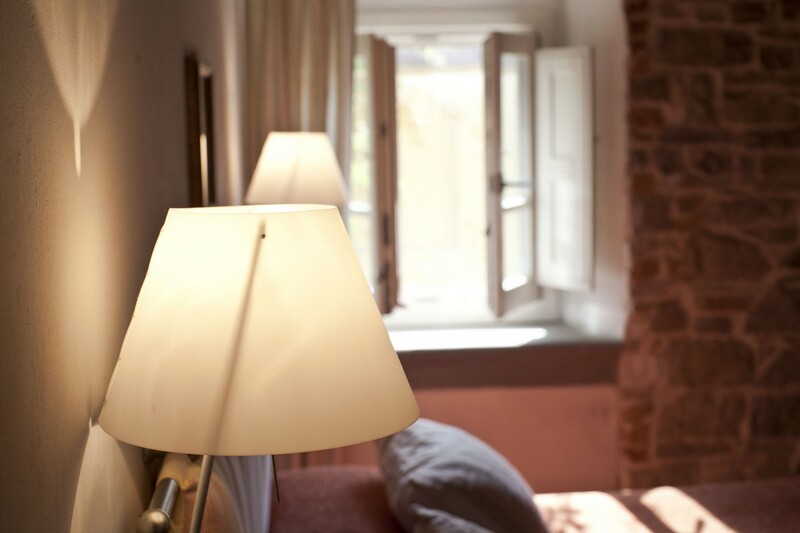 There is a extra-large rainfall shower and towel warmer are added for your comfort and convenience. 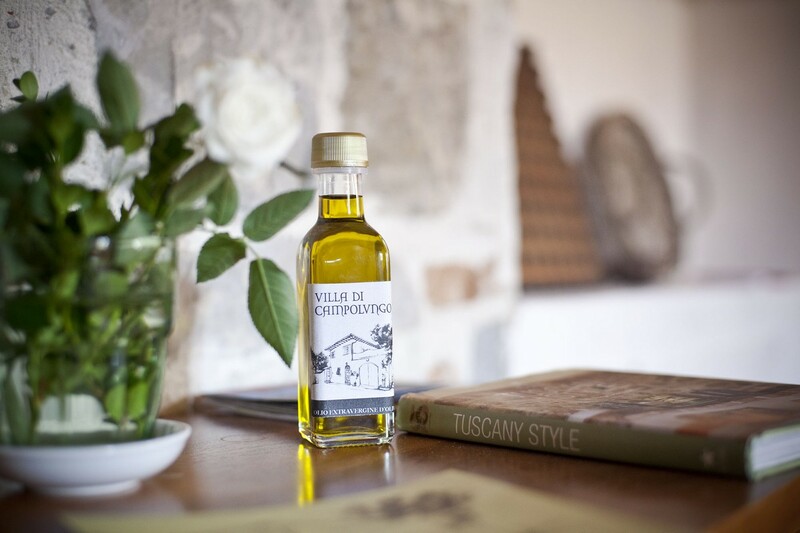 You will find complementary homemade natural soap and samples of our extra virgin olive oil.